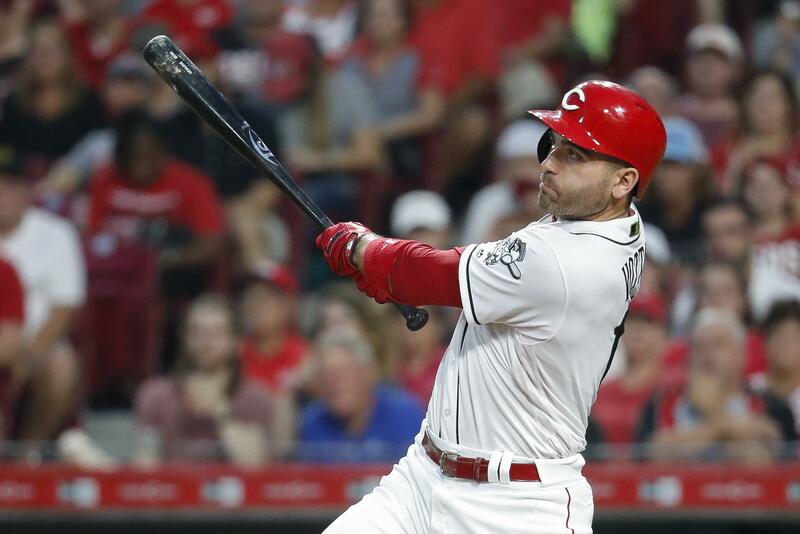 Fri., Aug. 17, 2018, 7:52 p.m.
CINCINNATI – The Cincinnati Reds placed first baseman Joey Votto on the 10-day disabled list Friday with a right lower leg injury. The All-Star was hit by a pitch from Ryan Madson in Washington on Aug. 4. In Cincinnati’s 10 games since then, he missed four starts and two full games. Gold Glove catcher Tucker Barnhart was in the Reds’ lineup for his first career start at first base for their game against San Francisco. Barnhart has made three career appearances at first base, all this season. Outfielder Aristides Aquino was recalled from Double-A Pensacola to fill Votto’s roster spot. Aquino will make his major league debut. Published: Aug. 17, 2018, 7:52 p.m.